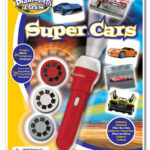 Projects 24 totally cool super car images onto your walls and ceilings. Includes 3 discs (8 images on each disc) which create clear, sharp images up to one metre wide (just turn the lens head to focus). 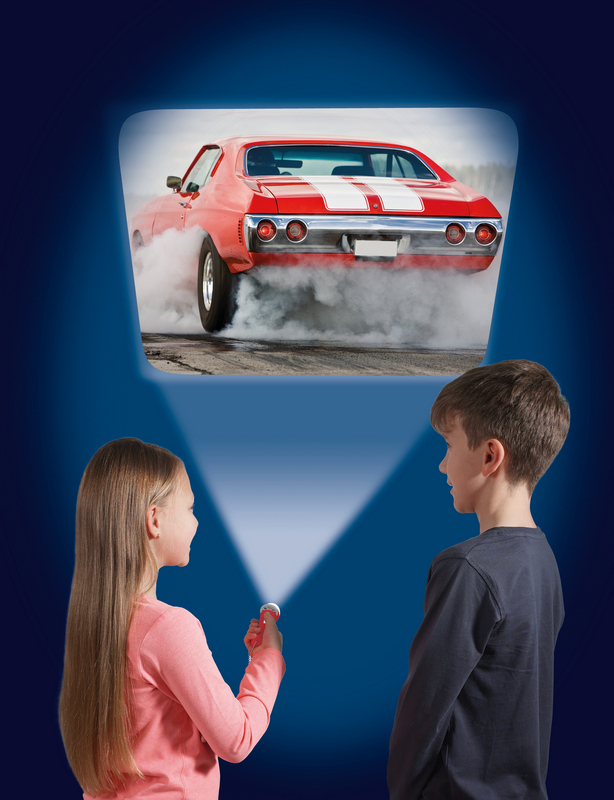 The projection torch also doubles up as a handy normal torch! 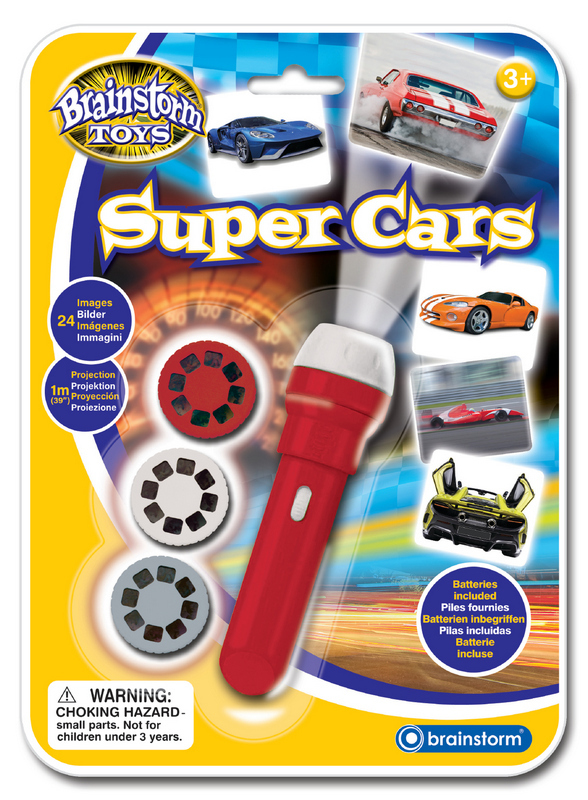 Ages 3+. Requires 3 x AG13 1.5v LR44 batteries (included).